Snapdeal is Back with Some Amazing App Offer This time. 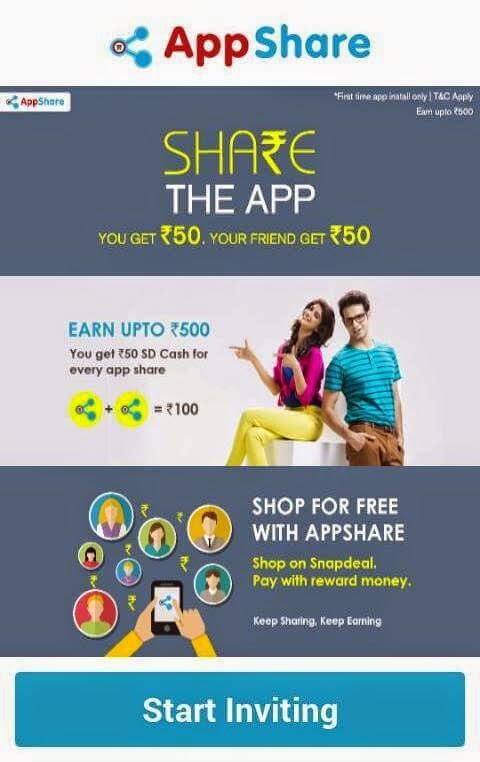 They are Giving 50 Snapdeal Credits + Unlimited way to get more snapdeal cash by Snapdeal refer and earn offer. So without further a due lets see how can we Loot it. Bythis snapdeal cash you can buy any product. So grab this Snapdeal App Offer asap before they close this offer. This Snapdeal App offer is for new users so make sure to install it first time on a device else you can use emulators like Youwave and Bluestack for that purpose. 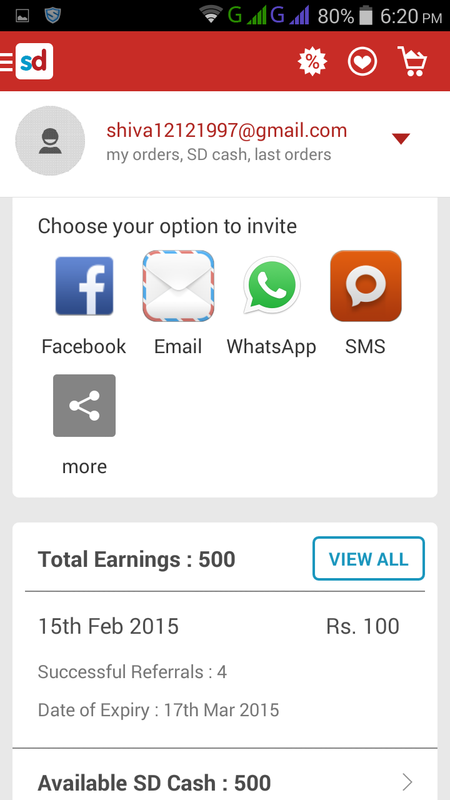 Now after installing app open it and click on Earn Reward. Now enter your mobile number and click Continue. Note: Make sure that mobile number is not registered on snapdeal. You will get Rs. 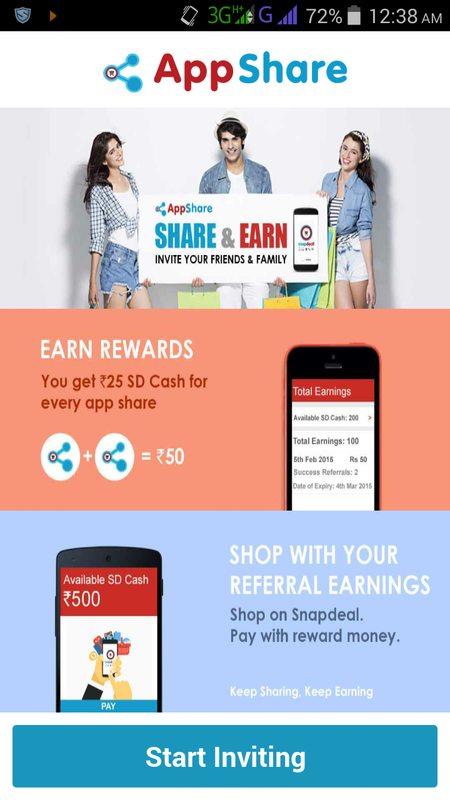 50 Snapdeal Cash as signup bonus. After signin / signup go to menu and click on Snapdeal AppShare. There you will find an options to invite your friends to download this app. Per refer you will get additional Rs. 50 Snapdeal Cash. Ques. If I already have Snapdeal App and registered account then am I eligible or not ? Ans. Yes, you are eligible for referral offer but you will not get Rs. 50 for signup. Ques. What will I do with this Snapdeal Cash ? Ans. You can buy any product from Snapdeal site from that cash without paying. Install Donkey Guard and xposed framework. Now download and do above procedure. Now after getting referral clear data for snapdeal. Now again install and do the same procedure to get unlimited Snapdeal Cash. 2. Download Donkey Guard and Xposed Framework from here.